Cruising in Europe's Baltic or North Sea can satisfy even an independent traveler like me. Stepping off the gangway, I'm immersed in the vivid life of a different European city each day. I've toured some of the world's top museums, taken a Scandinavian-style coffee break while people-watching from a prime sidewalk café, lingered on a surprisingly sunny and sandy Baltic beach, and enjoyed some of Europe's most expensive cities on the cheap from my big ship home-base. In northern Europe, the cruise ports themselves are generally not pretty, but they are mighty — most are located in industrial or maritime areas where any historic charm they once had was bombed to bits in World War II. In many other cases, however (including certain ports in Tallinn, Bergen, Oslo, and Copenhagen), they're right in the city center and an easy walk from the sightseeing action. When they aren't, there's good public transportation into town. And once you're in the heart of the city, the options are enticing. 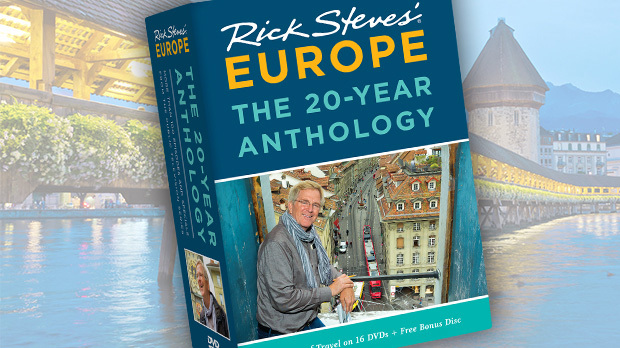 Even if you have just eight hours in port, you can still ride a double-decker bus through London; paddle a kayak on a Norwegian fjord; stroll Copenhagen's car-free Strøget; gaze at the Rembrandts in St. Petersburg's Hermitage, and walk in Lech Wałęsa's footsteps at the shipyards and cobblestone streets of Gdańsk. I've taken several European cruises recently, and I've found the per-day cost for a mainstream cruise can beat independent travel — particularly in northern Europe, with one of the highest costs of living in the world. (While a cruise saves money on a trip to Greece or Spain, it's an even better deal in Norway — where hotel costs can be more than double.) There's also the convenience factor. After a busy day in port, you can head back to the same cozy bedroom each night, without ever having to pack a suitcase or catch a train. Lots of travelers don't like the idea of being part of the cruise-ship hordes. 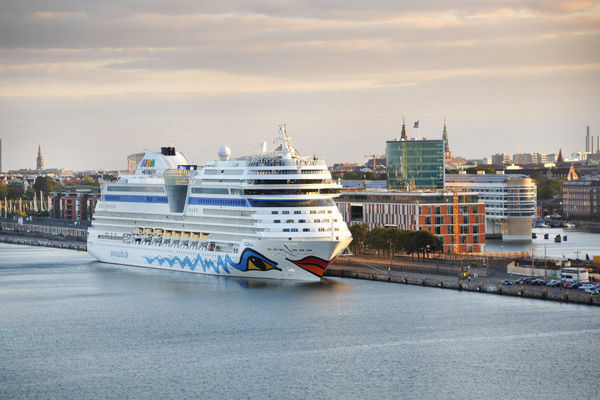 With big ships typically carrying over 3,000 passengers and everyone sharing their gripes online, cruise lines work very hard to avoid any congestion. In each of the cruises I've enjoyed lately, I've been impressed by crowd management. There's almost never a congestion problem on board. In fact, very often I marvel at how empty the big ships feel — even though they are always sailing full. In port, each ship dumps off thousands of cruisers, raring to have the best seven or eight hours possible. Just off the gangway, you'll find several options: Tour buses await those who signed up for ship-sponsored excursions — this is the standard option. Hop-on, hop-off buses, which are designed for independent travelers, cost about $35 for an all-day ticket; they usually cover a 90-minute loop with a recorded narration, run every 20 minutes during the daytime, stop at a dozen or so major sights, and include hop-off-and-on privileges. Public buses also connect cruisers with the town center, as well as taxis (both standard and minibus — economical for small groups). Some ports have a wide range of options. For example, if you dock at France's port of Le Havre, you'll be offered various trips into Paris, as well as guided visits to D-Day beaches and Impressionist sights closer to your ship. In some cases, there's only one worthy destination from a certain port, but it takes some effort to reach it. That's true of the German port of Warnemünde, where it's a three-hour bus or train ride into Berlin. It's possible to get to these places by public transportation — but the cruise line hopes you'll pay them to take you on an excursion instead. If there are 3,000 tourists relaxing on vacation, it's because there are over a thousand crew members working day and night to keep them fed, watered, and clean. I've always been pleased with the caliber of the crews on the ships. Most are from the developing world and work very hard for low wages plus tips to support families they left behind. 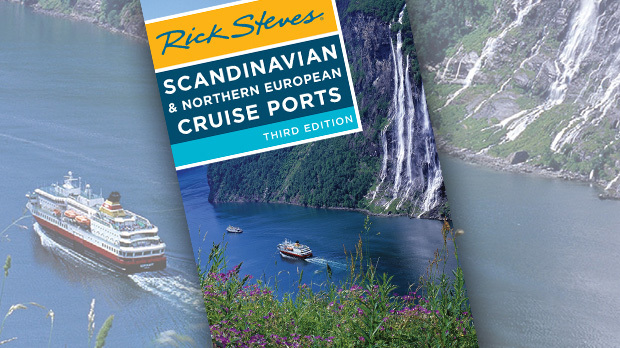 Cruising works well as an enticing sampler for northern Europe, to help you decide where you'd like to return and really get to know. For travelers who prefer to tiptoe into Europe — rather than dive right in — this bite-sized approach can be a good way to get your feet wet.